I was awaken by the sound of the beach. I forgot I was in Hawaii. I went out from my room and didn’t see anyone, they must have been in the beach. I quickly grabbed breakfast, took my surfboard then headed to the beach. The song “Surfin’ U.S.A.” resounded to my ears as I saw the waves from the beach. It was a perfect day for surfing, the sun is up and the waves are up, too. It was so inviting so I hurriedly went to the sea and gone surfing. Hawaii is very known for its pristine beach and gigantic waves for surfing. It has been said that surfing is the water sport of the king on this place. I get addicted to this water sport activity since I had my first try. I actually couldn’t imagine that I would be able to like it that much. The waves are so much bigger in here, despite of it I was able to stand up and ride the waves. I was happy. I suddenly paused for a moment when someone is calling me out loud from the shore, I couldn’t see her clearly because of my blurred sight. I went near the shore and it was my Aunt. We need to pack our things because we’re leaving in a couple of hours. It had been days since that trip in Hawaii. I was kind of bored staying at home so I asked my cousin if he could accompany me to the San Francisco Golden Gate Bridge, and he willingly agreed. It is a suspension bridge across the Golden Gate, the opening of the San Francisco Bay into the Pacific Ocean. The view itself was so amazing. I didn’t cross the bridge, I don’t know I have a slight fear with bridges, maybe next time. I left my cousin somewhere and I took a stroll across the bay park. There were a lot of people. I watched people passed by and wander around. I saw someone’s eating an In-N-Out Burger, and I suddenly remembered I haven’t tasted it yet since I got here so I went back to my cousin and asked him to have our snack there. He brought me to the Jefferson St near the Fisherman’s wharf where the nearest store of In-N-Out was. I excitedly ordered Double-Double, fries and large coke. Waaah! So I ate my cravings, I was so bloated after. Because I was too adventurous, I did a solo trip to Los Angeles. It was the HOLLYWOOD sign that made me go to this city. I went to the Hollywood Boulevard and checked out the Hollywood Walk of Fame then strolled around the city. I even went to the Sunset boulevard which is said to be LA’s main entertainment district. The next day I went to the beach and there I met some people. We went beach party all night. It was crazy. I also visited the Universal Studio Hollywood. It was all packed solo trip in Los Angeles. I was so glad I’ve met some people that made my trip extra memorable. I planned to visit Laguna Beach but I remember it was just few days before Thanks Giving so I just headed back to San Francisco and spent the holidays with my relatives. What I raved about this holiday aside from the roast turkey at the center table during Thanks Giving dinner was the Black Friday sale. I could even remember the Facebook status update from my Aunt years back when they lined up for hours for this Thanks giving sale, it was horrible. But that doesn’t stop me from scoring a great buy from the Black Friday sale. People were crazy over sale items, it was terrible. After all, I was able to buy a gadget for a big discount. It was a real steal indeed. If there’s one thing that really surprised me and continue to make me feel in glee during my entire trip in USA. It must have been our December trip to Walt Disney World Resort in Florida. My Aunt knows that it was my top priority of the places I wanted to go to on this country. It was my childhood dream to get to this place, the happiest place on earth. It might sound cliché from me but I so love theme parks. So from the day my Aunt told me that we’ll be going for that magical Disney trip I couldn’t explain my excitement, I’m just so entirely excited. We flew from San Francisco, California all the way to Orlando, Florida taking us 5 hours travel time. I couldn’t stop but ran hurriedly towards the entrance gate of Disney World Resort. I looked for Mickey and Minnie Mouse at first and took a picture with them. I saw some familiar rides like Mickey’s Philharmagic, Buzz Lightyear’s Space Ranger Spin and “it’s a small world”. Of course, as a theme park lover I didn’t miss riding on most of the thrilling rides in the park. I woke up from my sleep at the middle of the night feeling so cold. I looked at the window, the snow is falling. It’s winter time. Christmas was fast approaching, I was with some friends who are now based here. I’ll be spending the Holidays with them. I was still in awe thinking that I’ll be spending Christmas on this city, New York City. The Christmas I’ve been dreaming of, White Christmas. It could have been happier if my family was here with me but they are 7,000+ miles away from me. It is not known to everyone but my first passion was music and play. It’s not the play that I usually do now, but it’s more of stage shows. Well, I haven’t given up on that dream yet but hopefully I can be cast on a play staged in New York city. Sounds ambitious isn’t it? Well, this is my dream. Since that doesn’t work for me yet, I just watched some random musical stage in New York City which gave me a notable experience and made me more inspired and passionate. My activities during my stay in New York city was often riding the subway to get to my destinations, taking a walk at the Central Park or get to the observation deck of Empire State before heading back to our apartment. The skyscrapers and city lights are just so amazing to my sight. I crossed the sea to get closer to the Statue of Liberty. I also crossed the border just to see the Niagara Falls. It was so magnificent. It was the last day of the year, Time Square was so packed of people for the festivity. It feels surreal being part of the crowd at the Time Square in New York City celebrating New Year’s eve. It has been the grandest celebration I’ve ever been to. The city lights and the music playing, people are just enjoying. Fireworks are about to ignite at the dark sky. Then it’s time! People screaming for the countdown. 10, 9, 8, 7, 6, 5, 4, 3, 2 ,1… boom! I heard a loud sound, it was my alarm clock ringing. I was just dreaming, it was all just a dream. I have so many places in mind that I wanted to explore in the next 50 years of my life but for now I’ll stick to my ultimate destination that I wanted to go since I was a kid. It might be overrated for a dream destination but my American dream sticks to my heart. Yes, it might be sound overused but I’ve been dreaming of setting my foot in the United States of America. Is the path I’m taking will lead me to my destination? Well I don’t know yet, I’m still discovering places and exploring things. I’m giving myself 10 years to get to this country. I will not let this dream remain as a dream, I’m going to make it happen, making the story real. 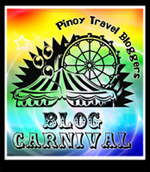 This is my entry to the Pinoy Travel Bloggers’ Blog Carnival for the month of April 2012, with the theme “My Ultimate Dream Destination And My Pledge To Turn it into A Reality” hosted by Robx Bautista of The Travelling Dork. Thanks for reading my delusional story. I hope it would come true, someday. Nagising din ako sa alarm clock mo. Magkakatotoo din yung American Dream mo! California Dreaming ang peg! Hahaha. I think the best places in USA are California, New York and Hawaii of course, the state of US I feel in love with! But Las Vegas is fascinating too which I dream to see one day! You can work hard for it and no dream is paid off without perseverance with that your American dream is not far from reality. Ganda ng composition. Doable naman ang US medyo mahal lang talaga and swertehan din sa Visa and immigration sa point of entry. Wow good for you, you've been there already! I hope I could set my foot there as well. I have Aunt who lives there, too. I hope I could get visa para makapunta na sa US. Hehehe! I'm sure you will be able to visit America in the future. Marami pa naman tayong chance kasi bata pa naman tayo. Katulad mo pangarap ko din one day makapunta sa America. Andami ko sanang relatives dun na pwedeng tuluyan kaso medyo wala pa kong pera papunta dun. Hopefully in the future makapunta tayo lahat!